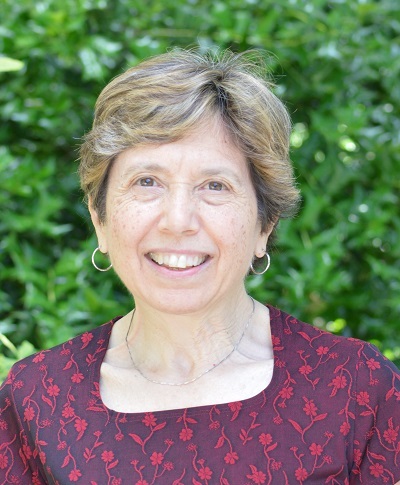 Barbara Quintiliano, Research and Instructional Design Librarian, retires on Aug. 4. She grew up in Upper Darby and graduated from Rosemont College with an A.B. degree in French with a minor in Italian. She has a MLS degree from Villanova. (The University once had a Library Science program; it closed in the early 1980s.) Quintiliano also has a master’s degree in French from West Chester University. Quintiliano came to Falvey after working at a number of other libraries: St. Joseph’s University Library, Doylestown District Center Library, Mobil’s research library and Rider College’s (now Rider University) library. She came to Falvey in 1986 as an assistant reference librarian, but left at the end of the year just before giving birth to her first son. She returned to Falvey as a part-time assistant reference librarian in 1990 and held this position until 1998. From 1998 until 2002 she was a part-time assistant reference and information literacy librarian. Quintiliano became a full time reference (later research) and instructional design librarian in 2002, a position she continued to hold until retirement. In 2009 Quintiliano received the Facultas Award which honors Villanova’s “unsung heroes and heroines” who have been especially helpful to the University faculty. Joe Lucia, library director at the time, said, “This is a well deserved honor for Barbara. She is one of our most able and committed professionals who is always eager to go the extra mile in her work. She is creative and enthusiastic in the work she does, most notably for the College of Nursing.” She is one of six Falvey staff who have received this award since 2004. With Robert LeBlanc, First Year Experience and Humanities librarian, she wrote “Recycling C.[conversion]R.[revision]A.[authority]P. [property]: Reframing a Popular Research Mnemonic for Library Instruction” which was published in Pennsylvania Libraries, Vol. 3, No. 2, 2015. They presented their material at a VITAL (Villanova Institute for Teaching and Learning) session in spring 2015. She has a number of hobbies: reading (of course! ), zumba, coordinating Amnesty International USA Group 342 (Chester County, Pa.), writing six-word memoirs (http://sixwordmemoirs.com/) and vegetarian cooking. Quintiliano is currently reading the Boys in the Boat by Daniel James Brown, Se questo é un uomo (Survival at Auschwitz) by Primo Levi, The Killing Forest by Sara Blaedel and Between the World and Me by Ta-Nehisi Coates. Retirement will be busy. In addition to her various hobbies, she plans to spend more time at the gym, participate in projects with her Quaker Meeting (Birmingham Friends, West Chester), visit her sons in Eugene, Oregon, and Las Angeles, Cal., (as often as she wants and “as often as they will tolerate”), and “learn how to grow something – anything – in our garden.” And if all this is not enough, she will train to become an English tutor for non-native speakers with the Chester County Volunteer English Program. Faculty, staff and students will miss Barbara Quintiliano – a dedicated professional, always cheerful and willing to help Falvey patrons find the information they need. Photograph by Alice Bampton, Communication and Marketing Dept.